Bullying can impact your company’s morale, productivity, insurance costs, and turnover. Workplace Bullying And Violence: Training For Supervisors And Employees will help you deliver training that fosters a peaceful, productive work environment. Thank you for your interest in previewing the Workplace Bullying and Violence: Training for Supervisors and Employees video program. Please register or log in to watch free previews, browse the course library, purchase training points, and more. 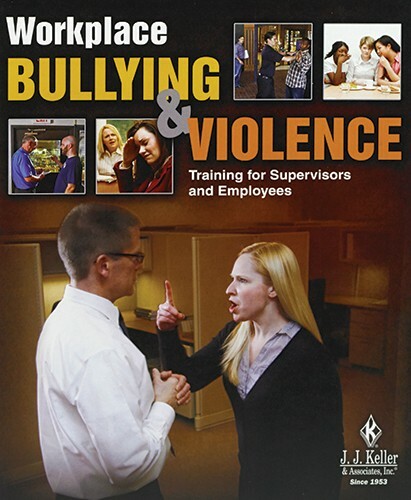 Thank you for your interest in previewing the Workplace Bullying and Violence: Training for Employees online course. Please register or log in to watch free previews, browse the course library, purchase training points, and more. Thank you for your interest in previewing the Workplace Bullying and Violence: Training for Supervisors online course. Please register or log in to watch free previews, browse the course library, purchase training points, and more. "We've trained 50 employees with Training on Demand. With multiple locations in different states, it makes it easier to ensure everyone gets the same training. I especially like the training content, as well as how easy it is to assign courses and track employee progress."